Make these a day ahead. They taste even better the day after baking them. Use aluminum pan if you have one. If using glass it cooks up a lot faster. 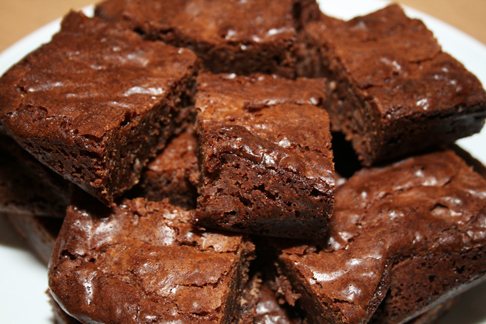 Don’t want to overcook because they are more cake like brownies than fudgy brownies. Cream sugar and butter until fluffy. Beat in eggs. Add melted chocolate and blend. Sift flour with salt and baking powder. Stir in batter. Add vanilla and nuts and spread in pan and bake 30 to 35 minutes at 325 degrees F.